Sign the petition here: goo.gl/LWIXst Brazilian Tropicalia music stars Caetano Veloso and Gilberto Gil, whose music has aways been connected to struggles for freedom, justice and equality, are scheduled to perform in Tel Aviv. Brazilian Tropicalia music stars Caetano Veloso and Gilberto Gil, whose music has aways been connected to struggles for freedom, justice and equality, are scheduled to perform in Tel Aviv. The concert is due in July, when Palestinians will be marking the anniversary of Israel's massacre on Gaza. Ask Veloso and Gil to do as Lauryn Hill, Roger Waters and so many others have done and refuse to entertain Israeli apartheid. US hip hop star Ms. Lauryn Hill has cancelled her concert in Israel following appeals from Palestinian and Palestine solidarity organisations and a big social media campaign. "We're delighted that Lauryn Hill has decided not to perform in Israel. A growing number of mainstream artists are catching up with public opinion and now understand that playing in Israel helps it to whitewash its colonial oppression of Palestinians. Israeli promoters are finding it increasingly difficult to book big names to perform in Israel." Go to thankyoulaurynhill.org to send Lauryn Hill a thank you message. 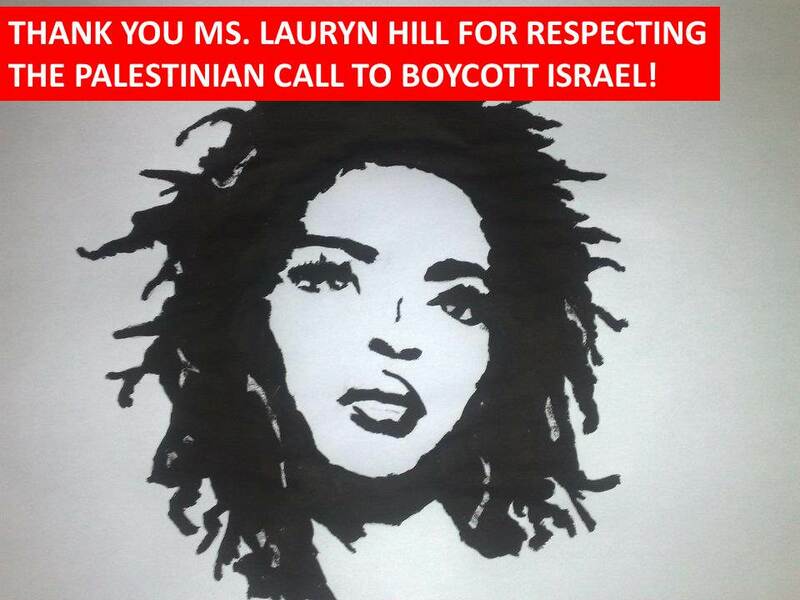 Watch a video interview about Lauryn Hill’s decision with BDS Omar Barghouti here. In a huge victory for the BDS movement, French corporate giant Veolia has sold off nearly all of its business activity in Israel. The sale follows a worldwide six-year campaign against the company’s role in illegal Israeli settlements that cost the firm billions of dollars of lost contracts. 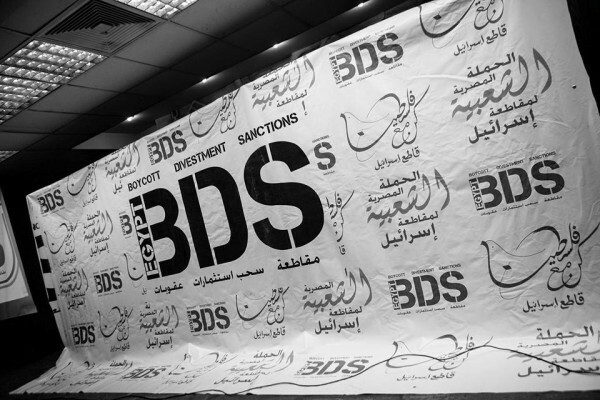 Under BDS pressure, Veolia has failed to win massive contracts with local authorities across Europe​,​ the US​ and Kuwait​​, and many investors sold their shares in the company. 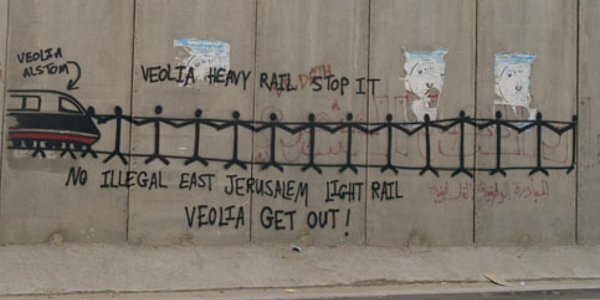 The campaign against Veolia is set to continue however, as the company maintains a role in the illegal Jerusalem Light Rail project. More than 30 Brazilian social movements and progressive organisations had called on the Brazilian government to exclude International Security and Defence Systems from Olympics contracts after the Israeli company announced in October 2014 that it had been awarded a $2.2bn deal to coordinate security at the games. On April 8, the Ministry of Justice’s Special Secretariat for Mega-events (Sesge/MJ) replied to their letter by explaining that ISDS has not been awarded any contracts. Campaigners are now preparing to pressure the Olympics Committee to cancel a separate “official supplier” deal with ISDS. UK high street bank Barclays is no longer listed as a shareholder in Elbit Systems, the major Israeli military company that manufactures drones used in Israel’s attacks on Palestinians and helps Israel build its illegal Apartheid wall. The news follows a high profile campaign launched after Barclays emerged as the named owner of $2.9 million worth of shares in Elbit. More than 1.7 million people signed a petition organised by Avaaz calling on Barclays to divest from Elbit Systems. On November 28 last year, campaigners held occupations and protests at more than 15 Barclays branches across the UK. More than 20 businesses across South Africa have cancelled contracts with G4S, the British security company that helps Israel run checkpoints in the West Bank and Gaza and the prisons that hold Palestinian political prisoners. The cancelled contracts covered more than 140 sites across South Africa and were worth more than $500,000. G4S has lost contracts worth millions of dollars with unions, charities, NGOs and banks across the world since the campaign against the company’s support for Israeli apartheid was launched in 2012. Meanwhile Jordan BDS Movement, known in Arabic as Alurdun Tuqate’ Jordan have launched the campaign against G4S in their country by holding a demonstration at the company’s Amman headquarters on April 17, Palestinian political prisoners’ day. More than 50 people attended the protest, which was backed by unions, parties and NGOs and widely covered in the media. Read Addameer’s updated fact sheet on the role of G4S in Israel’s prison system here. Israel’s highest court has upheld a law prohibiting Israeli citizens, including Palestinian citizens of Israel, from calling for a boycott of Israel. The so-called Law for the Prevention of Damage to the State of Israel through Boycott allows entities to sue and win compensation from individuals or organizations that call for economic, cultural or academic boycott. It also allows the finance ministry to financially penalize any organization that receives state funding that participates in such calls. The court cancelled a minor provision of the law, which allowed companies to claim large amounts of compensation without the need to prove damages, but left the rest of the law intact. Read reaction from Adalah – the Legal Center for Arab Minority Rights in Israel, here. A coalition of eleven political parties, four revolutionary movements, six unions, six student movements, and a large number of individuals, have come together to start up the BDS Egypt movement. The Central Council of the Confederation of National Trade Unions, Quebec, Canada resolved to join the BDS movement and support the call to impose military embargo on Israel. The CSN represents 325,000 workers in all sectors of activity in nearly 2,000 unions across Quebec. Read more here (French). Also, the Canadian Union for Public Employees (CUPE) Local 3902, which represents 7,000 teaching staff at the University of Toronto recently voted to endorse BDS. The Arab Labor conference - Kuwait (18-25 April) adopted a BDS resolution which resolves that the A.L.O to support the BDS movement against Israel till it complies with international law. The Arab Labor Organization is one of the Arab League organizations which consists of representative of governments, private sectors, and trade unions in the Arab countries. Read the motion in full here (Arabic). A campaign calling for an end to the Irish arms trade with Israel was officially launched by the Ireland-Palestine Solidarity Campaign (IPSC). The campaign, which is supported by many public figures and civil society groups, is calling on the Irish government to place an immediate arms embargo upon the state of Israel. Ireland has bought €14.7m worth of arms and military components from Israel over the last decade, while Irish-based companies have exported €6.42m worth of military and ‘dual use’ hardware to Israel since 2011. Take action in support of the campaign here. Association France Palestine Solidarité (AFPS) and the International Federation for Human Rights (FIDH) are campaigning to pressure the Carrefour supermarket to stop selling produce from illegal Israeli settlements, a step taken by many other supermarkets across Europe. AFPS, FIDH and other French solidarity groups recently organised a day of action that saw campaigners hold protests and information stalls outside 40 Carrefour outlets.